Based in Fruili-Venezia-Giulia (North-East Italy) "Nec Otium", from the Roman for work (nec) and leisure (otium), is a negociant operation with a difference: For years it has choosen to vinify each wine in its range in the winery of the grape grower, and it has yet to put a foot wrong. The growers involved are always excelllent and the practice of allowing them to grow and vinfiy their grapes according to their winemaking philosophy preserves the integrity, the provenance and the individual character of each wine. 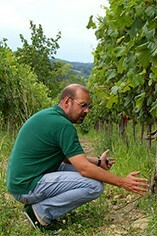 For example their Malvasia Istriana is made in Ronco del Gnemiz; the Sauvignon Blanc is made in the cellars of Aleks Simcic in Slovenia; while the Pinot Grigio is made at the Silvana Cerato cellar, Colli Orientali del Friuli. For the Pinot Grigio, vinification is classical: Fermentation takes place in stainless-steel, followed by six months' lees ageing that imparts additional weight and flesh to the final wine. The virtual absence of sulphur and malolactic fermentation guarantees the vivacity and the purity of the fruit flavours. 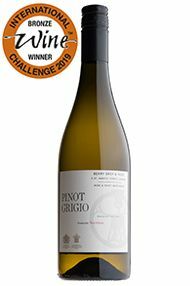 The Pinot Grigio is mouthfilling on the palate, offering freshness and long fruity aftertaste. Nec Otium's wines are always a touchstone of quality and honest pricing.